Weighty Matters: Are you Trying to Qualify for the Boston Marathon of Weight Loss? Are you Trying to Qualify for the Boston Marathon of Weight Loss? In so doing, it bought me an extra 5 minute cushion for my Boston Marathon qualifying time. I'm an incredibly slow runner, and I've yet to run a marathon. That said, I'd like to run one, and I figure a realistic time for me will likely be somewhere around the 4:30 mark. But let's say I get it in my head that my goal isn't just to run a marathon and try my best, but rather my goal is to run a marathon and qualify for Boston. Unpacking outcome number one, qualifying sure wouldn't come easy. In order to qualify, in a best case scenario it would likely involve me killing myself training for nearly a year. And I mean killing myself. I'd have to neglect my family to the point of my wife threatening to leave, I'd have to abandon my patients and I'd have to hurt all the time from the insane amount of running I'd be doing. Here's something else I'm pretty sure of. 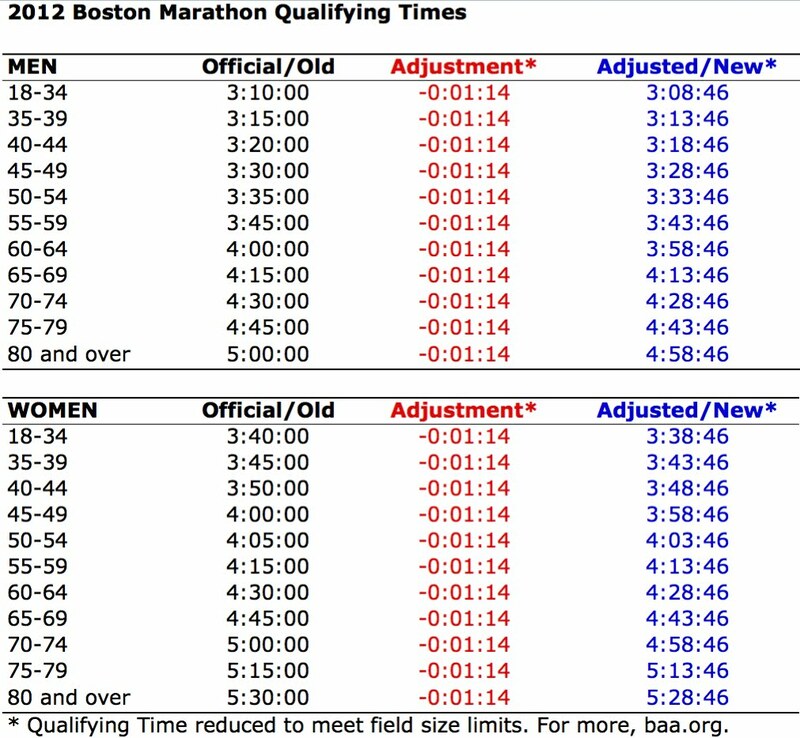 If I did qualify after killing myself training, I'm certain that when I finally ran Boston my time would be slower than my qualifying run. Why? Because why would I sustain a level of training that very negatively impacted my quality of life if I already achieved my goal? Unpacking outcome number two, if after killing myself training for a year I didn't come anywhere near qualifying, chances are I'd just stop, because after all, what'd be the point of continuing to try if my goal was qualifying for Boston and I came up way short after all that incredibly hard work? I think you probably see where I'm going with this. Setting a massive numerical weight loss goal simply isn't wise. If you have to kill yourself to get there, you probably won't stay there, and if you kill yourself only to fall short, you'll probably stop killing yourself. For me, my running goal will simply be running. Yes, a marathon is actually on my bucket list, but if every time I started running distances I began to hurt too much, or simply hated it, chances are I'll just take it off my list. Really, at the end of the day, my running goal is to be able to look back upon my training and feel like I did my best. Not the best I could tolerate, but the best I could enjoy. That's not so strange. Generally we accept our personal bests as great at most everything, and if I feel I tried my best, I'll be alright with that. What's truly strange is that somehow, when it comes to weight, people tend not to want to accept their personal best as great. Somehow when it comes to weight, everyone seems to think the goal isn't their best, but rather it's to qualify. Well I'm here to tell you, your best is great, and whatever weight you reach when you're living the healthiest life you enjoy, that's damn great. 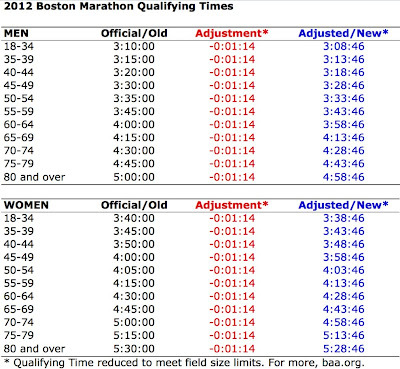 So if you qualify for Boston, well that's a heady bonus, but your real goal? Just enjoy your running, pace and time be damned.